At The Drain Man we don’t guess what’s wrong with your drains, we look! We were one of the pioneers of using InDrain Cameras. We include a camera inspection as part of your drain clearing service at no extra cost. In most cases we camera before AND after we clear to give you full transparency on what we are doing. This way you and us both see what is going on. You get a copy of the footage on USB or DVD, so you can see for yourself what we have done and what we recommend as a solution. Why is using an InDrain camera necessary? Simply put, no one can see underground. Any estimation about where a drain blockage is and why it has happened CAN ONLY EVER BE A GUESS WITHOUT USING A CAMERA FIRST. No two drains are alike. So if someone tells you they know what’s going on in your drains, without using a camera, they are just guessing. Our cameras also contain a sensor that enables us to locate exactly where your drains are so we can map the layout of your drains. Once we have established your problem, we clear the blockage using high powered equipment with clearing heads of between 2-8” that can cut through tree roots and clear blockages. Hydro jetting is an effective, versatile and efficient drain clearing method. It uses a high pressure stream of water that can be adjusted to suit the size of your drain. Safer for you, the plumber and the environment. AT THE DRAIN MAN WE USE A COMBINATION OF HYDRO JETTING TECHNIQUE AND DRAIN CLEARING TECHNIQUES. How can you expect a plumbing service to effectively unclog a pipe blockage without knowing what the blockage is in the first place? How can you know whether you need to dig up, replace or simply reline your below-ground plumbing unless you know where and what the damage is? There are many ways a drain pipe can become blocked. There might be a tree root in the drain pipe, or a build-up of flushed material which has accumulated. 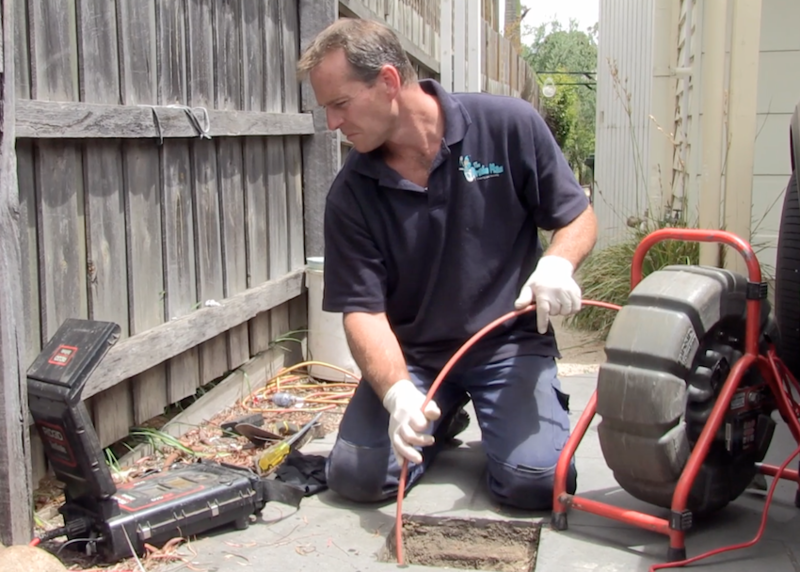 With The Drain Man’s CCTV drain inspection, our customers can see the exact cause of their blockages and damage. Through diagnosing the problem, we’re able to offer targeted solutions, and ensure the long-lasting functionality of your piping. If there are tree roots blocking drain piping, or encroaching roots in sewer pipes that are causing trouble with your bathroom facilities, we’ll be able to see exactly where the blockage is with our drain camera. 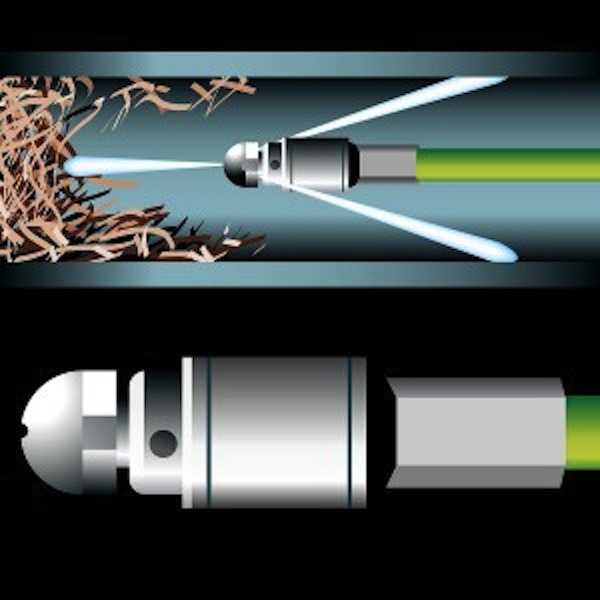 Our customers can then rely on our trenchless clearing tools, including high pressure water jetting equipment, to clear away roots and unclog your system. Trenchless technology means “no digging” – work can be done from above-ground, saving on the cost of digging, re-filling and fixing up your garden. But The Drain Man cares about much more than a one-time fix to a problem which can easily recur time and time again. If you do have tree roots in drains, sewer piping or stormwater systems, using structurally sound, break-free pipe relining can be used as a fantastic long-term measure. All across the city, residential and commercial below-ground pipes are damaged and braking because of continual use and an increased demand on the drainage. A trenchless alternative to digging up and replacing this piping, sewer pipe relining is low-cost and low-impact. Simply call The Drain Man on 1800 843 372 to discuss our effective drain diagnosis and repair techniques. Offering experienced CCTV drain inspection to our customers, we’re an experienced service with market leading, high-tech equipment at our disposal.